This year's Bay Area Freshmen 10 were chosen through popular vote and by a panel of industry of experts. On a breezy afternoon in downtown Oakland, Matt Werner sat in a cubicle-sized office as he managed his music website, the fancifully titled Thizzler on the Roof. Lying on a round table behind his desk were multiple copies of a mixtape promoting Thizzler.com's biggest project to date: The Bay Area Freshmen 10 Class of 2013, a compilation of the hottest up-and-coming local rappers. Wait, let's backtrack. Werner manages his website ... in an office building. "The office isn't that expensive," he said modestly. "[Thizzler] isn't a huge moneymaker. The main business model is selling advertising on the site. Obviously, it's working." The 25-year-old also known as Em Dub launched Thizzler from his bedroom in 2009. "I was a rapper at the time," Werner explained. "If I put out a mixtape, no one's really going to pay attention. So I'm going to make a site and have an audience, and when the mixtape is ready, I'll put it out through the website, and people will actually care." He eventually abandoned the mixtape idea — as well as being a rapper, for that matter — to focus on the contours of Bay Area rap. "I freestyle in the car every once in a while," he said, laughing. As Thizzler slowly grew, Werner got a chance to interview local stars like Mistah FAB, San Quinn, Erk tha Jerk, and Zion-I. "That gave us credibility," he said. "But my passion has always been the underground people who don't get exposure. [The aforementioned artists] may not be on the highest platform they could be, but they don't need my help as much as some people at a lower level. I like to find the guy who's super-talented but super-underrated, and help him." Now, Thizzler's success lies as an entrée to the byzantine world of a local scene that defines what's known in hip-hop circles as "regional rap." It teems with hundreds of artists, some of whom may be local heroes but are otherwise rarely heard elsewhere. The name "Thizzler on the Roof" is partly inspired by the Broadway musical Fiddler on the Roof as well as by "thizz," a slang word for ecstasy usage coined by the Vallejo icon Mac Dre. "It's just Bay Area in general, man," said Werner when I asked him what Thizzler means. He shot me an amused look that said, C'mon, everybody knows that. If you're one of the few who can't tell the difference between "mob music" (Nineties gangsta rap) and "New Bay" (teenage party rap), Thizzler is an excellent place to learn about an environment that changes so rapidly that even dedicated "Yay Area" aficionados have trouble keeping up. 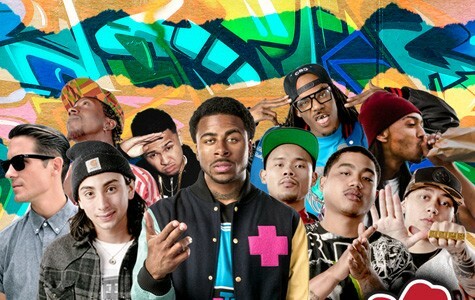 Take Sage the Gemini, the biggest "graduate" in Thizzler's Bay Area Freshmen 10 this year. In less than six months, the Richmond rapper emerged from nowhere to hit the national pop charts with two hits, "Gas Pedal" and "Red Nose," and land a major-label deal with Universal Music Group. "We exclusively dropped 'Gas Pedal' and had no idea it was going to take off," said Werner. Now the song enjoys heavy rotation on radio stations like KMEL. "But at the same time we support [street rappers like] the Jacka, J-Stalin, and Philthy Rich; and [backpack/conscious hip-hop] like Equipto, Z-Man, Hieroglyphics. We try to make it really balanced because there's so many different aspects in the Bay Area, so many different cultures." The Bay Area Freshmen 10 project, which seems to be inspired by rap magazine XXL's annual "Freshmen Class" issue, is an example of how Werner is no longer just an enthusiastic fan but an industry figure in his own right. He manages the Oakland rapper Young Gully, and also takes paid consulting gigs to help artists shore up their web presences. 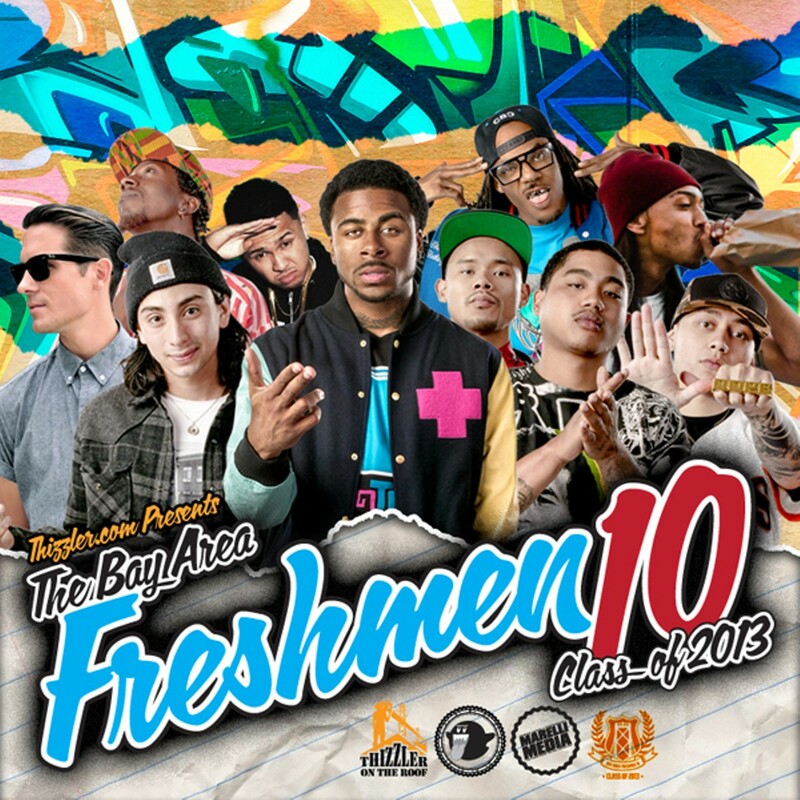 KMEL DJ Amen launched The Bay Area Freshmen 10 in 2010, and asked Thizzler to help assemble it. In 2012, Thizzler took it over "and tried to make it as big as we possibly can." G-Eazy: The Oakland rapper is currently on tour with Lil Wayne. "G-Eazy is so massive he probably shouldn't have even been a Freshmen. He's got a crazy female fanbase ... but hey, it works!" HBK P-Lo: The Pinole artist is "a rapper but also a producer. He just did Yo Gotti's 'Act Right'; he's worked with Wiz Khalifa and Mannie Fresh. He dropped the MBMGC mixtape, and it was solid." Nate: Based in San Francisco, "he dropped his mixtape [Common Folk], then he dropped the video for "Them Days," and that got a lot of people's attention — the right people's attention. Now he's got management." Street Knowledge: The Oakland rapper "has got a pretty good buzz. He's signed to the Jacka's the Artist Records. The first mixtape [New Skool Knowledge] was pretty solid." HBK CJ: The Oakland artist "obviously got a big boost" from being part of popular rapper Iamsu's HBK Gang. "But he's more of a lyricist. I feel like he brings substance to the HBK Gang." Rey Resurreccion: The San Jose rapper released the First Street Sessions mixtape in July. "He's been around for a minute, but he started gaining a lot of ground in the last year or so." Taj-He-Spitz: He hails from Fairfield, "went to jail for a little bit, then came back and put out of a ton of new music. His buzz went from being, like, zero to — woosh! — off the charts. Even though he has no radio airplay, any time he puts out a song it gets a lot of traffic on Thizzler." 100s: The Berkeley rapper signed with New York indie label Fool's Gold. "He put out his debut mixtape [Ice Cold Perm] and got a lot of coverage. He toured with Kreayshawn." Prince Sole: The San Francisco rapper is part of the Dreem Team collective. "He's got some radio airplay in the past year [for 'Fuego']." Sage the Gemini: "It's still early in the game for him, and he has something that fits into the mainstream really well." 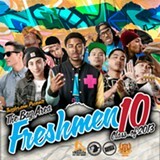 For more information or to download The Bay Area Freshmen 10 Class of 2013 mixtape for free, go to Thizzler.com.